The popularity of hybrid golf clubs cannot be denied. You can see them in the bags of professional and amateur golf players alike. Over the last years, a lot of golfers have discovered the unique characteristics of hybrid clubs; the appearance of an iron and the increased distance of a wood. The benefits these clubs offer are advantageous for all golfers. The reason why hybrid clubs became as popular as they are now is their ease of use. Golfers are highly recommended to try hybrid clubs as the benefits they will get are definitely plenty. Using hybrid clubs gives them the chance to hit the ball easily and with better distances than when they use either a long iron or a mid iron. The hybrid club managed to find its way to the hearts and the bags of golfers not just because of its unique design, but also due to its technological advancement. The manufacturers deepened the cavity on the hybrid back so that more weight can be moved to the club head’s perimeter. 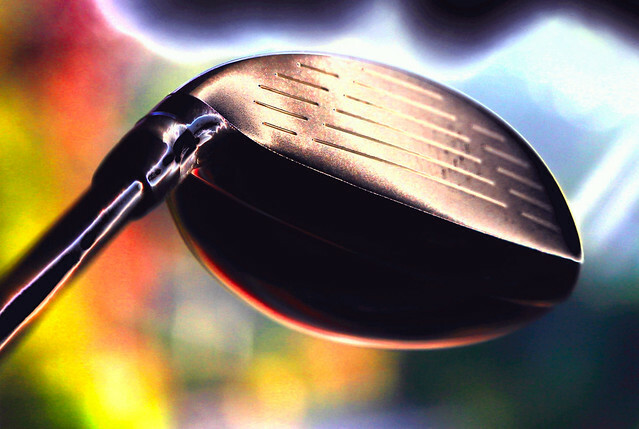 By cleverly maneuvering this club head weight – moving it from the centre into the edges – a bigger MOI or moment of inertia is effectively created once a senior golfer hits the ball. This simply means that the hybrid’s club head has not much way of twisting around when the ball is hit from the heel or the toe. This is a very efficient perimeter weighing technique that allows for greater distances on off-centre strikes; additionally it also aids in lifting the ball high up in the air. Since hybrid clubs are very much similar to fairway woods, they do have smooth round soles, which make them perfect if the golfer intends to slice through tough lies such as deep roughs. This is an ideal fusion of versatility and forgiveness, which is one good reason why golfers are advised to go for hybrid clubs. Since hybrid clubs are mainly designed to take the place of the long irons, there is the need for golfers to set up accordingly. With a 4 iron the ball should be placed a bit forward of centre to enable a faintly descending blow. The positions of the shoulders, feet and the hips ought to be squared right into the ball-to-target line; similar to the position when making long iron shots. An iron action is required if the intention is to swing the club away and directly through the golf ball. A ‘sweeping’ action that is commonly used when playing with a fairway wood should be avoided when using a hybrid; instead it would be a whole lot better to strike down directly and then hit through the ball, creating a clip on the turf. Try to use hybrid clubs and see for yourself if they are indeed easy to use. Perhaps, they are the secret to help you boost you shots’ distances.